The operator of the world's largest internet hub challenged the legality of sweeping telecoms surveillance by Germany's spy agency, a German court heard Wednesday. The BND foreign intelligence service has long tapped international data flows through the De-Cix exchange based in the German city of Frankfurt. But the operator argues the agency is breaking the law by also capturing German domestic communications. "We have grave doubts about the legality of the current practice," said a statement Wednesday on the website of De-Cix Management GmbH, which is owned by European internet industry body the eco association. "We consider ourselves under obligation to our customers to work towards a situation in which strategic surveillance of their telecommunications only takes place in a legal manner." Its lawyer Sven-Erik Heun told German news agency DPA that "the BND has chosen the biggest pond to go fishing in". 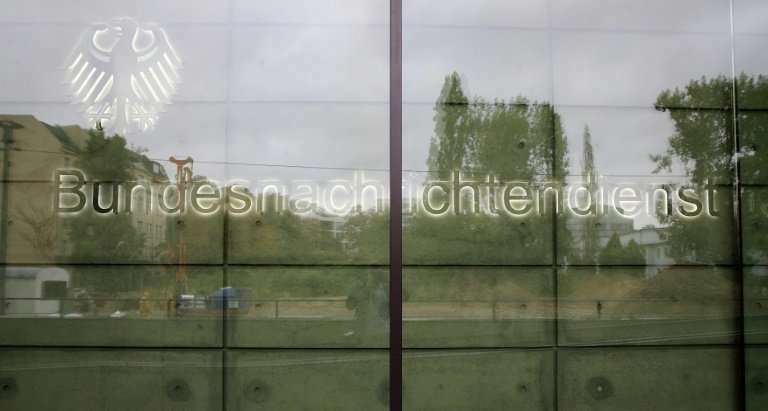 De-Cix Management launched its suit against the German interior ministry, which oversees the BND and its strategic signals intelligence. "With the lawsuit, we seek judicial clarification and, in particular, legal certainty for our customers and our company," the company said. The federal administrative court in the eastern city of Leipzig was not certain to make a ruling on Wednesday. The De-Cix operator says its Frankfurt hub is the world's biggest Internet Exchange, bundling data flows from as far as China, Russia, the Middle East and Africa, and handles more than 6 terabits per second at peak traffic. The De-Cix, with 20 data centres, uses more electricity than Frankfurt international airport, the Sueddeutsche Zeitung daily reported this week.